A loan of $1,075 helped to purchase fertilizers and other materials needed in farming. 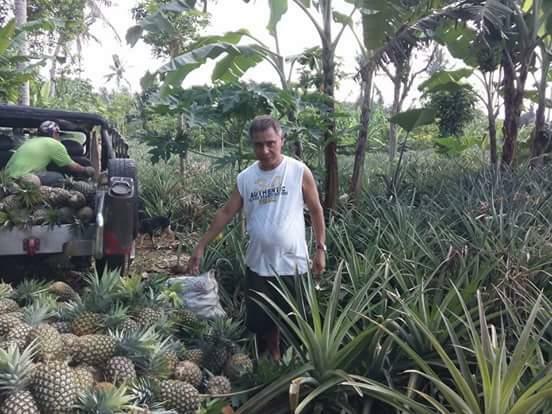 Honorio is 49 years old and is running a farm. He is the loving husband of Benilda, and together they work hard to provide for the daily needs of their family. Honorio is very thankful for the business God has blessed him with, and despite the hard work that is required for it, finds his family as his motivation to continue working hard and persevere. Now he is need of financial assistance to buy necessary materials, tools, and fertilizers that are needed on his farm. He hopes that with the new equipment, his farm will be able to produce more goods to sell and he will earn more income. Honorio wishes to do what is necessary for a better-earning farm; his profit will be used for the education of his children. He faithfully meets up every week with his co-fellowship* members to share stories of his work and also draw strength and inspiration from the Word of God he studies. *All CCT community partners/clients are organized into fellowship groups that meet on a weekly basis. A fellowship group is composed of 15 to 30 community partners. The fellowship groups gather each week to study the Word of God, build social capital and repay microfinance loans. It renews hope for borrowers living in an area affected by the Haiyan typhoon.